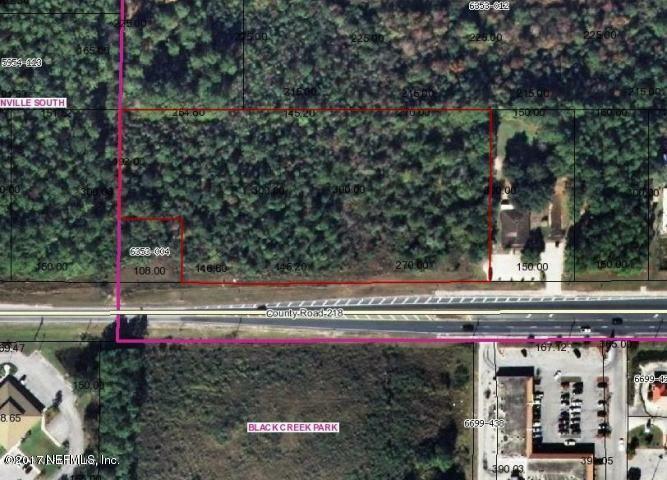 Commercial Development Opportunity - Two 2.3 Acre Parcels for $300k each. Great Zoning - BB. Frontage on CR 218 is 668 FT with 300FT of Depth for Both Parcels. Great Location for Office or Retail Close to Blanding Blvd Across from Winn Dixie Shopping Center. Public Water/SewerAvailable at the Street. 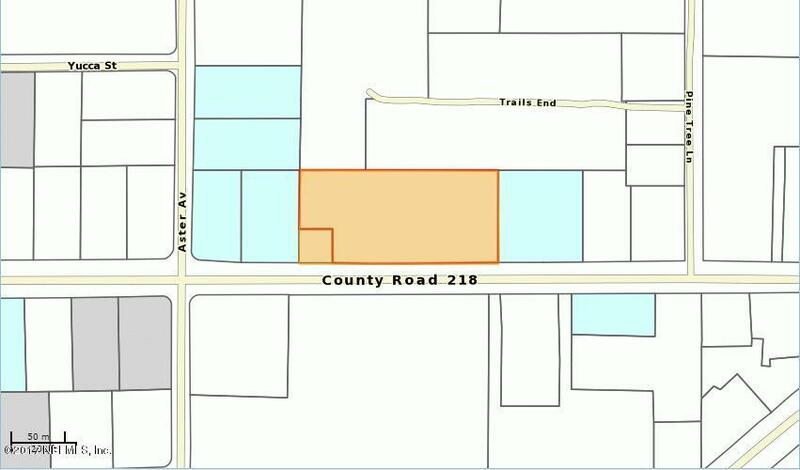 Additional Land Available to the North that would have to be Rezoned for Commercial Use. Includes Parcel 006353-004-00 and01.